Record assignments in a notebook that is used only for homework. Designate a "Homework DROP SPOT" with your parents so they can review your completed homework with you. Then, make sure to put it in your backpack once it has been checked so it will be ready for you in the morning. 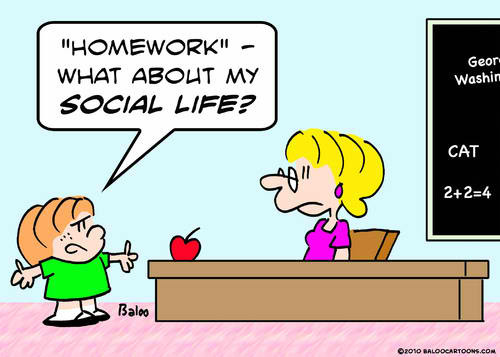 Designate a consistent time to do homework every day (schedule). Do homework in the same place every day. Choose a place that is quiet, comfortable, clear or clutter, and well lit. Gather all necessary tools (pencil, paper, eraser, books, dictionary, thesaurus, etc.) before starting homework by creating a "Homework Survival Kit". Work neatly! Organize your work on the page. First impressions are important! Do the harder part (least favorite) of your homework first when you are not tired. Use a timer to judge when to take breaks. Use manipulatives, when possible, to help solve for the unknown.